We would like to welcome all players that have a Physical, Sensory or Intellectual Impairment. We also look forward to seeing all the GB SN Squad players to the 1st Inclusion Training Session of the year. We have a fantastic training day ahead, sessions suitably addressed for all our athletes with Disabilities. Senior special needs referee Ron Cleere will be on hand to cover refereeing, Jean Cleere, Andrew Scott both senior championship controllers will be giving advice competition levels and processes. 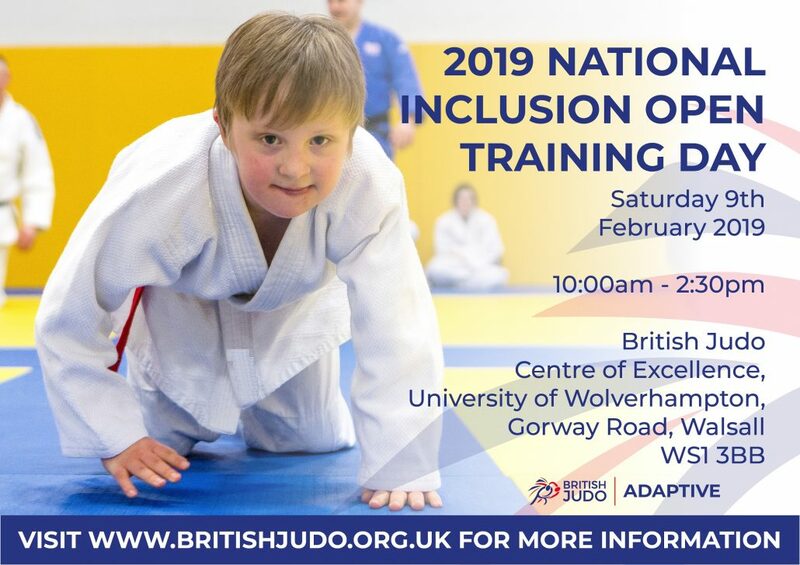 Having the services of so many coaches who are expertise in different areas of special needs judo will ensure we have a fantastic training day. There will be two mat areas to accommodate different levels of Visually Impaired players and all disabilities we can cater for all. Wheelchair players with their care workers or coaches will enjoy this training day as we are open to all levels of disabilities for junior and senior people wishing to have a fun day’s training with top coaches involved in British inclusion. Tea and Coffee provisions in the Board Room for parents/coaches etc.